When I think of summer, I think of fresh garden vegetables and herbs. Growing up in Maine, we always had fresh basil growing which meant homemade pesto. Depending on the summer, we had tomatoes, peppers, green peppers, green beans, zucchini or maybe a combination of those. Fresh basil and tomatoes immediately makes me think of a caprese salad. Not sure about you, but raw tomatoes are very hit or miss for me. Cooked tomatoes I love. Raw? Ehhh. Depends on the day. Something about spaghetti squash as a pasta salad, fresh mozzarella, fresh spinach, cherry tomatoes all tossed with homemade pesto and chicken sounded absolutely irresistible. Well, it is. I’ve had it for lunch or dinner four days in a row. Don’t believe me? 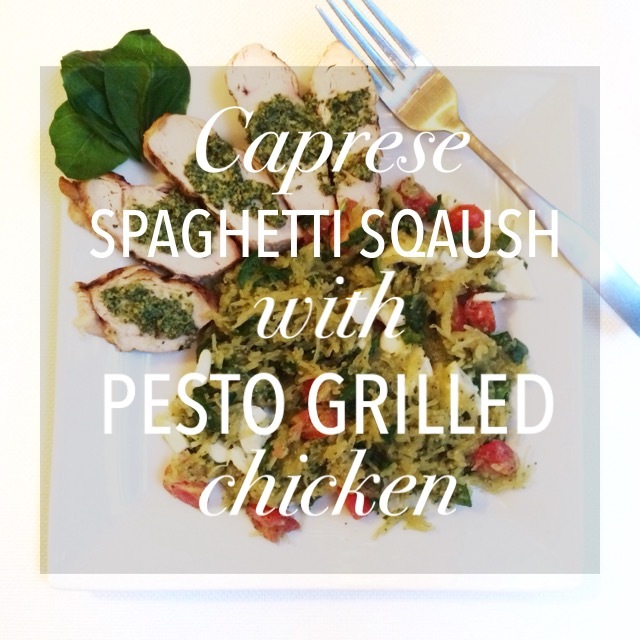 Try the Caprese Spaghetti Squash with Pesto Grilled Chicken for yourself.